I'm really lucky. I get to meet women when they are in the process of changing their lives! So many of you are starting or growing new businesses, following dreams and bringing new creations into the world. Change is an anxiety-producing situation, and I was reminded today that mindset really matters in these moments. As you do this challenging work, remember that it's all about making forward progress. Some days it will be achingly slow, and other days you'll make huge leaps. Give yourself grace for the mistakes that and missteps that will occur along the way. It's Fiesta time in San Antonio, but we've still got to get things done. Let's work together! 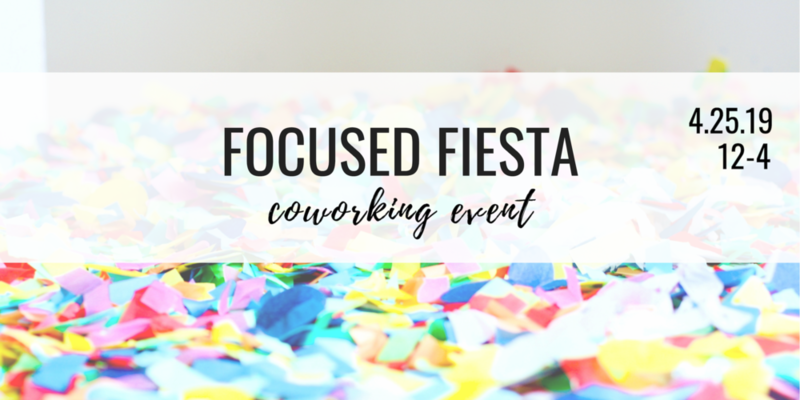 Join us on April 25th for our Focused Fiesta coworking event! This is a chance for non-members to experience working at Annex and connect with like-minded women! We'll be hanging out from 12-4 pm, working, drinking coffee, and getting to know one another better. We'd love you to come, and a $7 ticket gets you in the door.